Here is our Top 10 list for non-ore related news events of 2016. 10. Boxcar Traffic - Trucking company Jeff Foster began receiving boxcars in March at the former Georgia Pacific mill along Duluth’s waterfront. Foster is using the mill as a warehouse and transload facility. It is unknown what material is being shipped in the cars. 9. 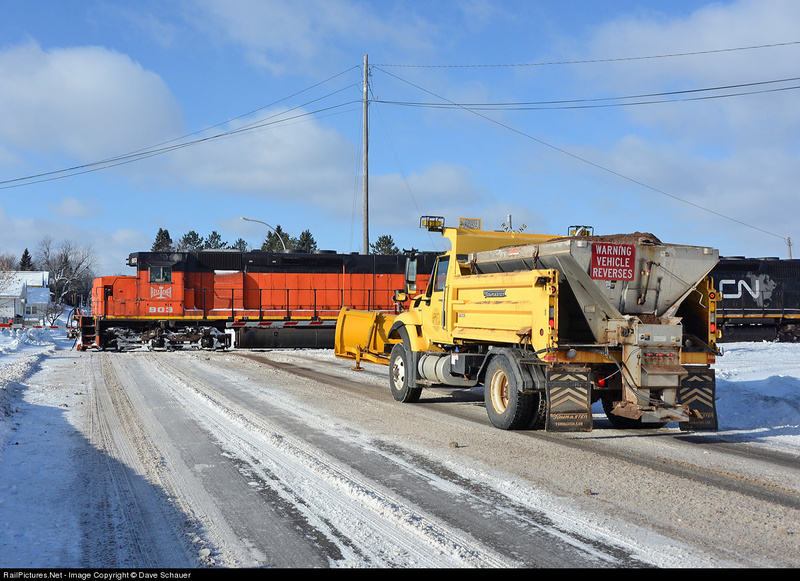 Rices Point - BNSF closed its Rices Point yard office in February, with yardmasters normally working out of that location shifted to 28th Street in Superior. 8. New Tracks - The Port of Duluth completed work on their new multi-intermodal Garfield dock C&D, which has a new rail spur completed by Canadian Pacific. Hallett Dock is adding new tracks to its Dock 6 property in far western Duluth to store rail cars. 7. Lincoln Loan - In May the LSRM was loaned a replica of President Lincoln’s funeral car for display during 2017. The car has proven quite popular and has helped the museum record a very sold year. Here is our annual recap of the top 10 ore-related stories of 2016. I didn’t include Keetac’s announced reopening as that will fall in 2017. We also might see more concrete news about Essar in 2017 so that saga isn’t mentioned here. 9. BNSF started using buffer cars on its pellet trains. Located in front of the DP locomotives, these older loaded cars with yellow top sills alert the loading operators that the end of the train is near and to stop loading, thus helping prevent taconite from spilling onto locomotives. 8. NSM receives GEs. NSM receive two CEFX AC4400CW units from sister railroad LS&I in June. They operated on mainline ore trains until early October when they suffered flat spots. NSM’s two leased SD9043MACs had their lease extended to fill in for the GEs. This is noteworthy in that the GEs were NSM’s first regular use of that builder’s locomotives (they had tested GEs in the past). 7. CN signal and track changes. CN continued to upgrade older searchlight signals on the former DM&IR and also reconfigured the CTC control point at Adolph. Another track change was the removal of many of the short tracks in the “A Yard” at Proctor. Major track improvements were completed on the Iron Range Sub in 2016 as well as strengthening of the Oliver Bridge. While many think of Minnesota Steel (Duluth Works) as the first steel mill in the area this reminds us of the steel operation on Rices Point that was producing iron well before the turn of the century.